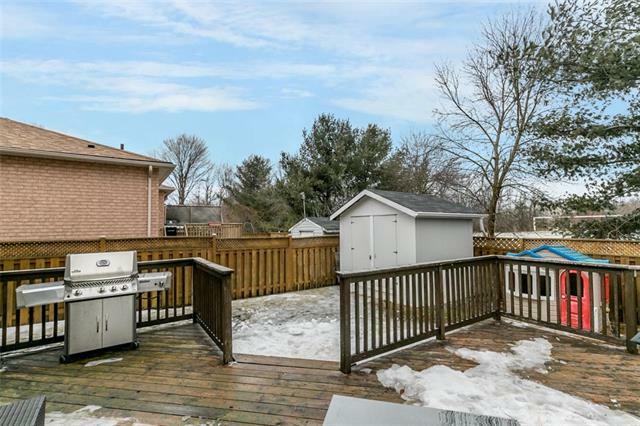 Description Welcome to this lovely 3 bedroom home backing onto Holly Community Park. 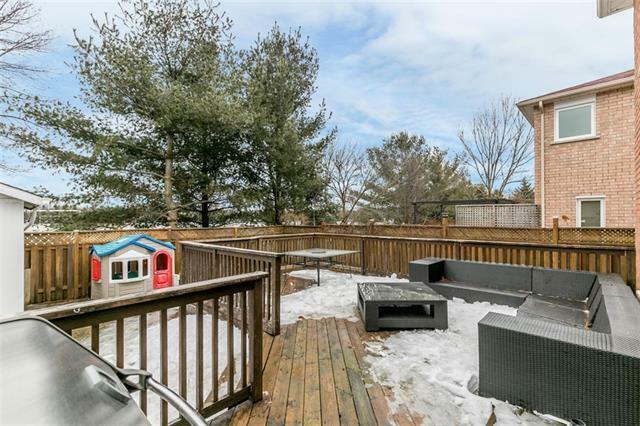 There is privacy provided by large mature trees on the edge of the Park in this family friendly community. 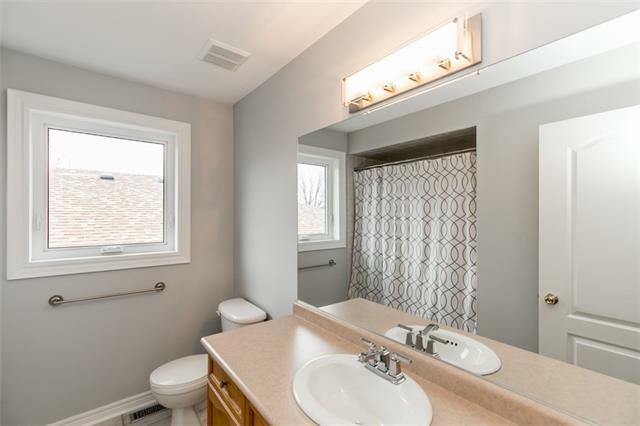 Truly the most desirable and perfect location, just a short walk to Holly Community Center, schools, and other amenities such as grocery and pharmacy. Only a five-minute drive to highway 400! 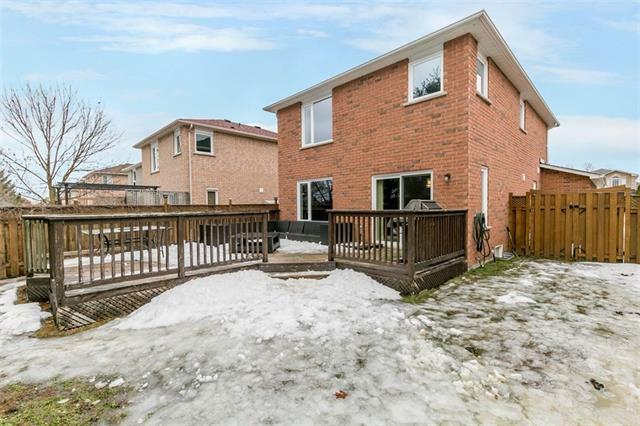 This beautiful home has been meticulously updated with all of the capital expensive upgrades such as roof shingles (2017), furnace (2018), main and second floor windows and front and patio doors (2015), sprinkler system, and HRV system. A statement is made right as you walk up to the stunning fiberglass door with multi point locking system, the highest level of quality you don't often see at this price point. 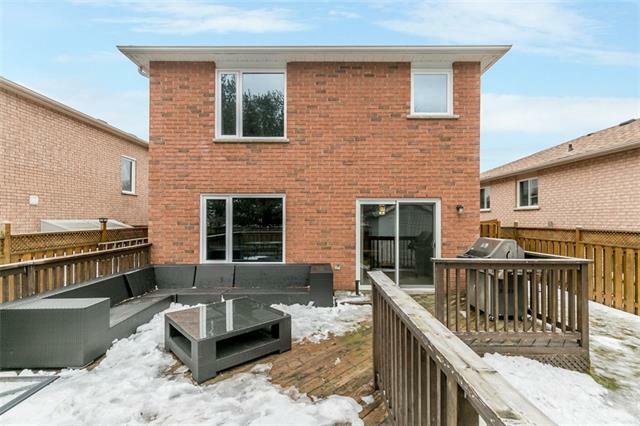 From entertaining on the large backyard deck, to relaxing in your master ensuite deep soaker tub, this home has everything you need. The large shed provides extra storage and makes sure you get to keep your 2 car garage clear. Don't delay, make this fantastic home located in a family friendly community yours today!